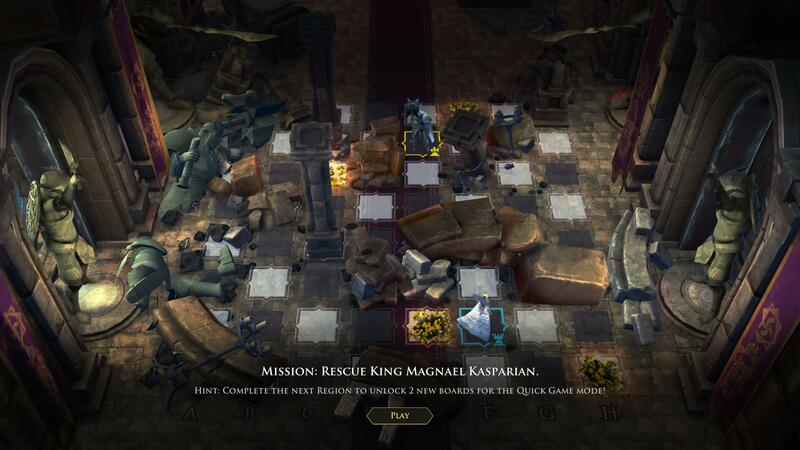 Chess — the ultimate strategy game, relying on carefully planned, tactical manoeuvres, sacrifice and swift retribution. It’s been around now since sometime in the 6th century and over the last 1,500 years there have been many variants and slants on the classic gameplay. 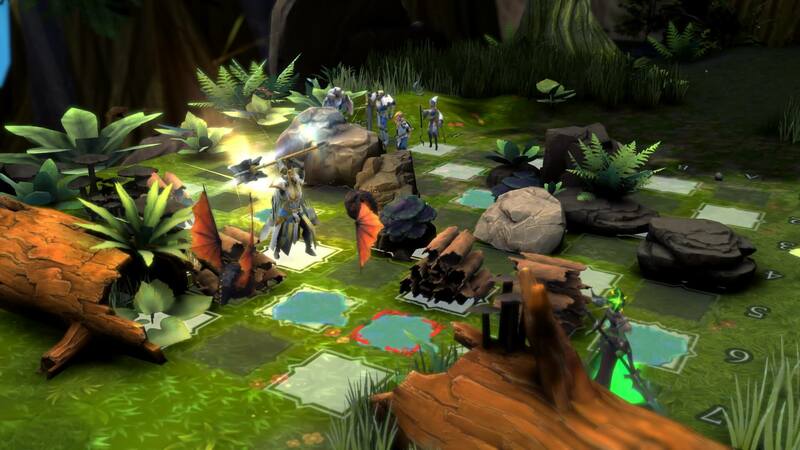 And now there is Chessaria by Pixel Wizards, a game that mixes the turn-based elements of chess with ‘an epic fantasy quest’. There have been a few 3D-animated chess attempts in both film and games alike, including — but certainly not limited to — that scene in Star Wars, Wizard Chess in Harry Potter and my favourite, the 1988 game Battle Chess. In all of these games, when you move a piece, that piece comes alive and romps across the board — and should it be used to take another piece, a choreographed attack animation ensues. 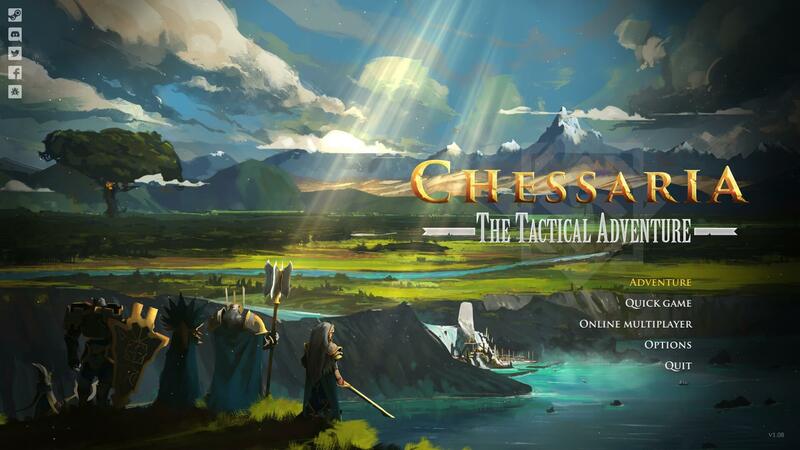 The pieces in Chessaria move and act in a similar way… so what innovations can this game bring to the table? Well actually, there are several, with three different game modes available: Quick, Multiplayer and the main Adventure. 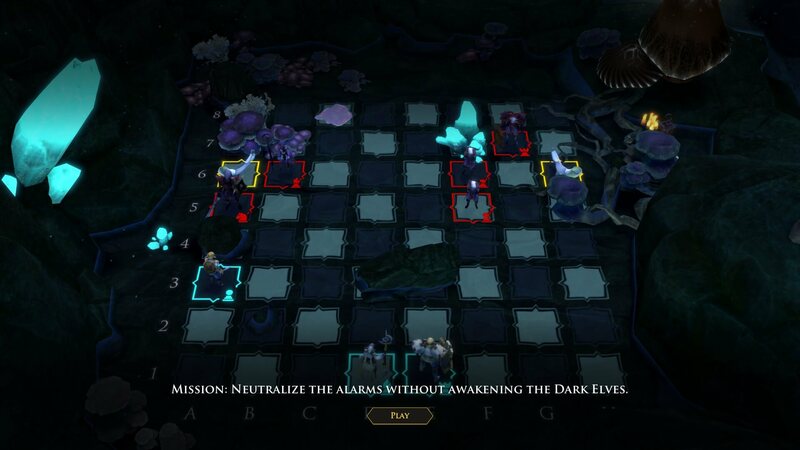 In Adventure, you play through the main story of the game, wherein each level is a separate board with individual objectives to complete before you can progress to the next. Your completion is graded based on speed and number of pieces lost — as you finish certain levels, you unlock new game boards in Quick mode. The level grading seems a little arbitrary, though, and your ranking is only displayed at the end with no clue as to how you could replay the level and better it. Adding obstacles to the board is a very clever way to change how the game plays. You start your quest only controlling a single unit type, but quickly rescue other units which then become available to use in later levels. Early levels are nice and simple, serving as a good tutorial and introducing new game mechanics such as destructible elements and other objects that somehow hamper you — like puddles that you can cross over but not land on. Levels like this add a great puzzle-esque element to the game. There are other puzzle-like elements too, like the levels that require you to move without landing in your opponent’s line of sight. I really enjoyed these as an interesting variant on the standard gameplay. 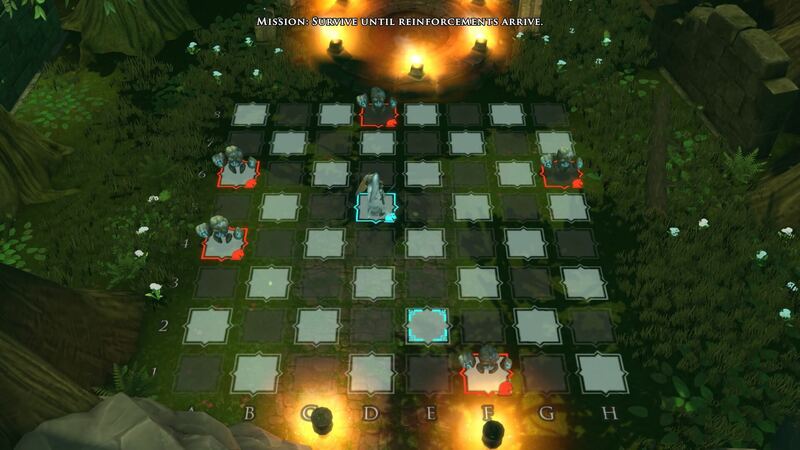 Quick mode has a number of win scenarios, from classic chess to far more interesting ones, such as ‘Thanos Chess’ where you have to eliminate half of your opponent’s team to win! 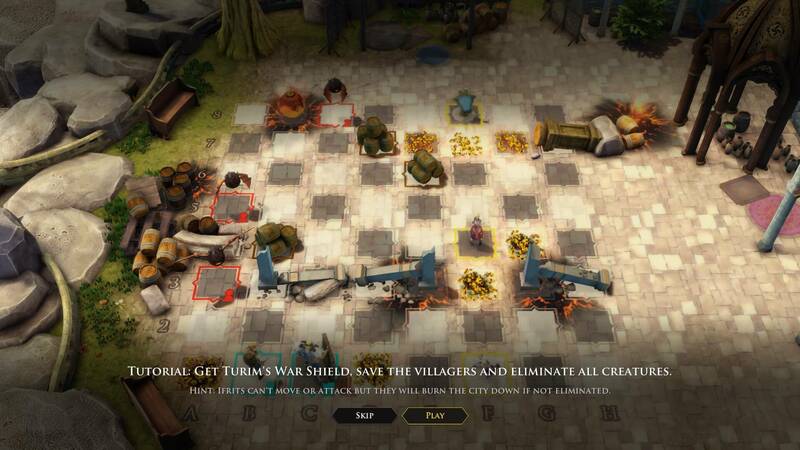 You can choose your armies and the board you will be playing on, as well as whether you will be playing against a local human or AI opponent. It’s worth noting that the AI throughout this game is actually really good — I only noticed a single dubious computer-made decision and most of the time it executed quite ingenious strategies designed to force me into positions where I would lose a high-value piece. Multiplayer works similarly to Quick mode, except only really for playing against a friend who is currently online. There doesn’t appear to be any lobby type or matchmaking system, so if you don’t know someone else who owns this game, this mode is a bit pointless for you! Beauty — in the eye of the beholder? Graphically, Chessaria is very well presented, with smooth animations and some truly lovely special effects when attacking. The scenery is nice and there are various biomes to fight through, including crumbling castles, lush forests, dark underground caverns and more. 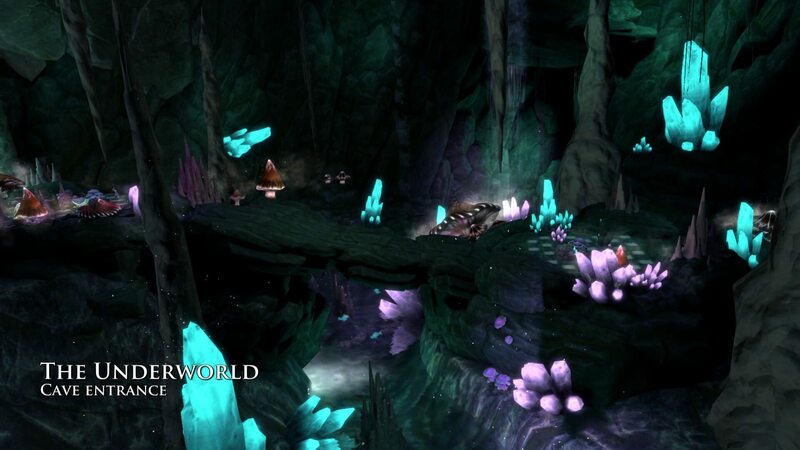 Each level traverses to the next by panning through these biomes and, when coupled with the narration, gives a nice feeling of progression through the game. The attack animations and sounds are unique to each unit (though in Battle Chess they were unique depending on which two units were fighting!) and are accompanied with great sound effects. Even when the pieces move across the board, there’s great attention to detail — a fact further enforced when restarting a level, as the board will rebuild any broken elements in front of your eyes! In fact, my only gripe is that the whole scene is rendered in a blurry, out-of-focus style. It’s as though anti-aliasing is being over-applied. Reducing it from the default value in settings helps a little, but not much, which is a shame as otherwise, Chessaria is really nice to look at and play. The controls are pretty simple — you can zoom and rotate the camera, letting you get right in on the action, but you can also zoom right out if you want to play proper old-school! To move, you simply select your unit, then the square you wish it to move to. Available positions are clearly marked — a welcome addition given that there can sometimes be something blocking your intended path that you might not have noticed. 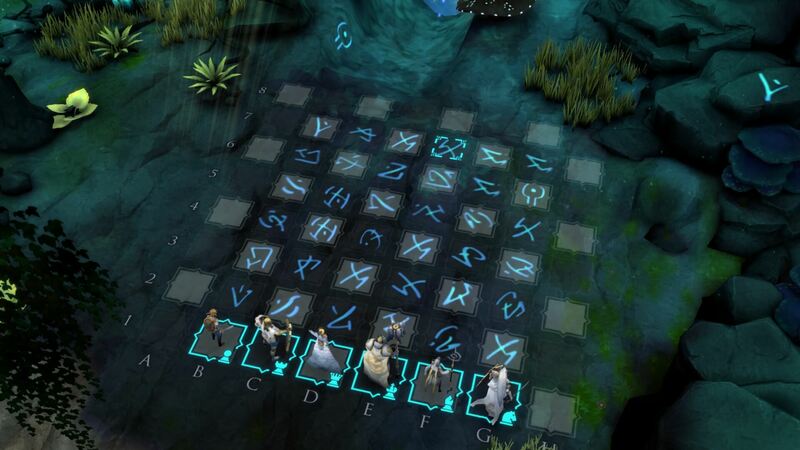 In this level, you have to move the camera to find the safe runes. 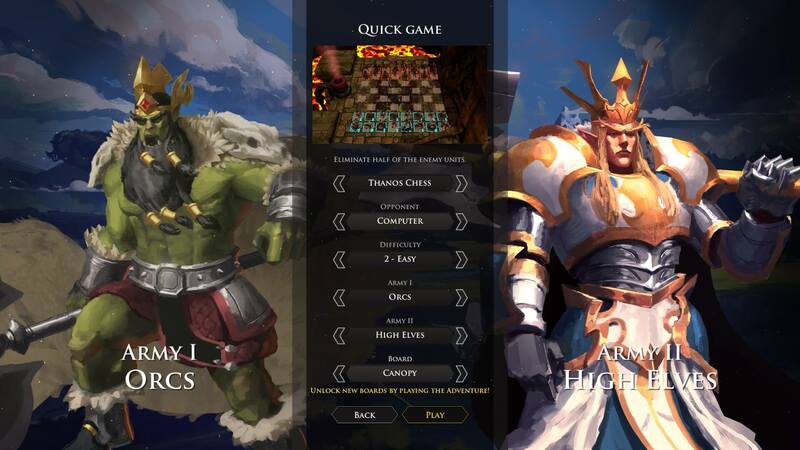 All in all, Chessaria is a great strategy game which offers enough variation on classic chess to attract new players, but acknowledges and builds on its roots to keep veterans interested. Coupled with clever AI, decent graphics, some lovely animations and great sound effects — this game is well worth picking up.